There are certain foods that just scream “summer.” Tomato sandwiches, of course. Corn on the cob. Watermelon. Peach ice cream. And potato salad. Of course, potato salad isn’t necessarily seasonal – the ingredients – potatoes, celery, eggs — are easy to find year round. 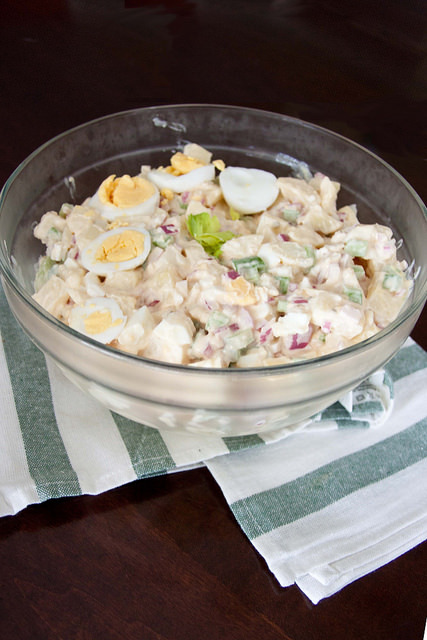 But potato salad fits so seamlessly into the rituals of summer – the barbecues, the picnics, the beach days – and goes so well with summer classics like hamburgers, ribs, ham sandwiches – that it’s as much a part of summer as the smell of sunscreen and the splash of swimming pools. When it comes to potato salad, this isn’t my first rodeo – I’ve written about a fancy French version, an Italianate, mayonnaise-free version, and an oh-so-minimalist version that only just gets to play with the cool kids and be called potato salad at all. But the truth is, when I’m called upon to make potato salad (which I am, surprisingly often) this is the salad I turn to – based on the recipe my mother got from a babysitter I had so long ago that I don’t remember her at all, that first lived in my mother’s handwriting in her recipe book and then in my own. This is potato salad how you want it to me – a little vinegary, creamy, with the crunch of celery and just a touch of sweetness. The big guns. The classic. The recipe is easy to scale up or down and in fact the recipe I have written down does just that – 2 potatoes per person, 1 stalk of celery for every 3 potatoes, 1 onion for every 8 potatoes. The mayo can be eyeballed, the vinegar added to taste. But after you’ve fiddled and tweaked you will taste it and say “Oh, that’s potato salad.” That’s summertime. Peel the potatoes, cut them into approximately 1 inch cubes. Place the potatoes in a large pot filled with cold water + 2 Tablespoons of vinegar + 2 Tablespoons of salt. Bring the potatoes to a boil, and cook them until tender about 15 minutes. WHILE THE POTATOES ARE STILL HOT (this is key) drain them, and sprinkle the remaining vinegar over the potatoes. 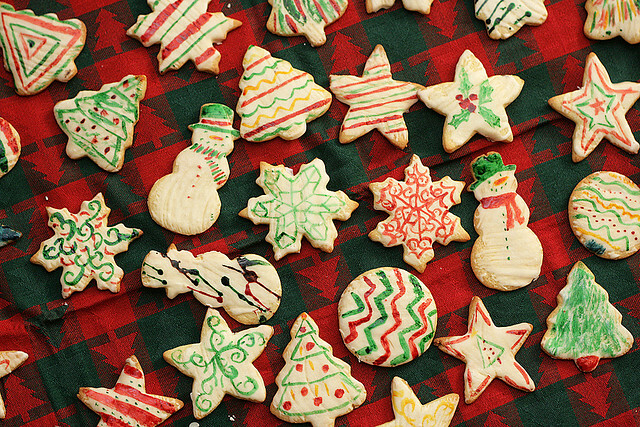 Toss to coat and let cool. Finely chop the celery and onion. 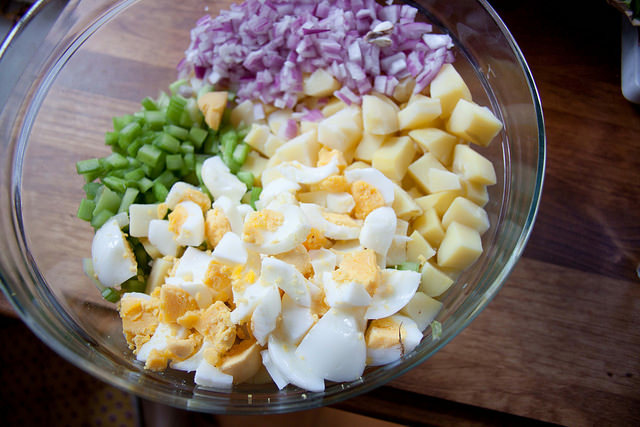 Coarsely cut up the eggs. Add to the bowl with the cooked and cooled potatoes. Add mayonnaise, ketchup and relish to potato mixture. Stir together gently. Taste for salt and pepper. Add a touch more vinegar if you want it tarter, or a dab more relish or ketchup for sweetness. Serve chilled.